“I thought, ‘God, this must be a dream. This can’t be real,'” the British actress continued. Oh, that’s not good. The last thing Madonna needs at this point is dragons. Dragon: All right, so apparently we’re in your service now. What’s your first command? Madonna: Make me look younger. Dragon: Ummmmm … I don’t- I don’t think you understand how dragons work. Madonna: Young people like dragons, right? 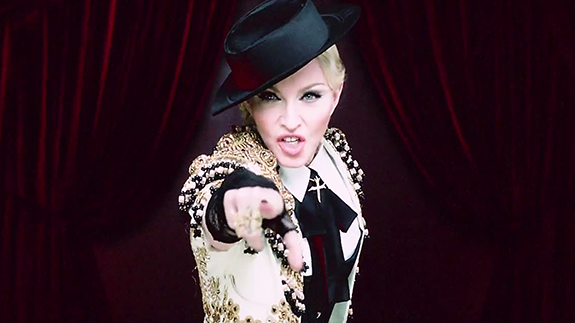 Madonna: Tell all the young’uns I’m young, just like them! I can dance the Charleston just as good as any of them! Dragon: Not even gonna touch that one. Madonna: Fire up the gramophone! We’ll lindy hop like it’s nineteen-dickety-nine!